South Korea plans to develop sustainable inter-Korean relations through a top-down approach driven by further summits between its President and the DPRK leader, the country’s Ministry of Unification (MOU) said on Tuesday. The announcement came as part of the MOU’s annual “Work Plan” for the year 2019, submitted to South Korea’s Blue House and the Office for the Government Policy Coordination late last month. In a written statement, the ministry said Seoul would continue “close communication” between South Korean President Moon Jae-in and North Korean leader Kim Jong Un, who met for three summits last year. “We will establish a foundation for sustainable inter-Korean relations through South-North summits,” the MOU said. 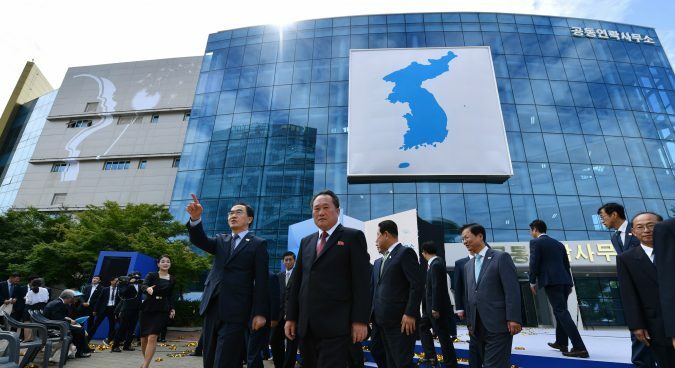 Through further inter-Korean summits, the ministry hopes the two sides can work to establish consensus between to two on the signing of a South-North basic agreement, a goal Seoul first set in its five-year plan issued in July 2017. “Through the close communication between the South and North Korean leaders, we will set the direction of developing inter-Korean relations and advance the denuclearization of the Korean peninsula,” Vice Minister of Unification Chun Hae-sung said at a special news briefing on Tuesday. Seoul will resolve “core pending issues” between the two Koreas through this summit-driven approach, he added. While emphasizing the importance of top-down diplomacy, the ROK MOU also said in its written statement that it would “develop and maintain a system to promote” high-level talks and sectoral working-level meetings. Through high-level talks, Seoul plans to push ahead with the implementation of joint declarations signed at last year’s inter-Korean summits, and set conditions to proceed with working-level meetings. These working-level meetings — which will reportedly included “economic talks” — will serve as a platform to “discuss concrete consultation on the timelines” for inter-Korean projects and to conduct joint research, the MOU added. The MOU also said it plans to set up North-South committees across a range of fields, including on economic, social, and cultural issues. “We will make a joint committee in each field… where mid and long-term plans for the development of inter-Korean relations are discussed and implemented in tandem with the discussion on a South-North basic agreement,” it said. Speaking at Tuesday’s press conference, Chun said Seoul expected that the social and cultural joint committee could discuss and promote sports, religious, and cultural exchanges. The Moon Jae-in government is yet to submit any proposal for inter-Korean talks on the issue, he stressed. “But we will strive to establish these committees in the course of holding meetings this year… we recognize the necessity of establishing them,” Chun said. In its work plan, the MOU also said it would prepare for inter-Korean economic cooperation, promising to “develop a comprehensive plan” on ways to implement Seoul’s plans to set up several inter-Korean joint special zones, agreed to in September’s Pyongyang Joint Declaration. That agreement saw the two agree to discuss the building of an east coast joint special tourism zone and a west coast joint special economic zone. 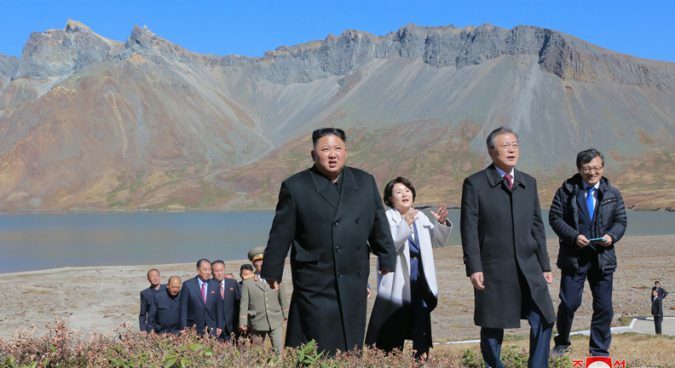 As part of preparations to implement that plan, the unification ministry will conduct joint research and an on-site survey with the North this year. The MOU also said it would seek to prepare for the resumption of cooperation at the Kaesong Industrial Complex (KIC) and Mount Kumgang within the framework of international sanctions. Should Seoul obtain an exemption allowing those projects to go ahead, it should be seen as South Korea adhering to the sanctions framework, Chun said. Subscribe to read the remaining 662 words of this article.